Follow our recommended travel route and experience some of the best Norway has to offer. Experiences and activities that are fun, educational, challenging, and memorable for the whole family. 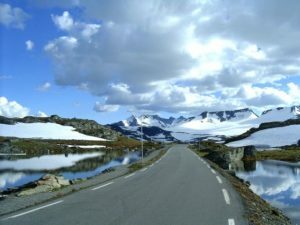 Magnificent nature experiences in the mountains, along the fjords, through the forests, and by the sea, from east to west. Experience a fast-paced adrenaline rush in beautiful surroundings. 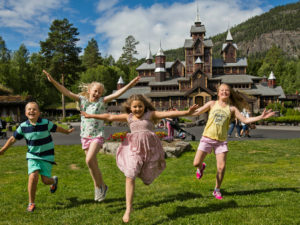 Experience Norwegian culture, history and traditions! 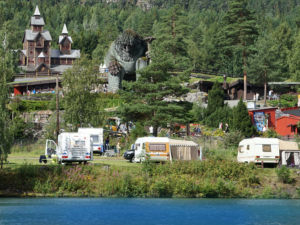 Bogstad Camping is situated in beautiful natural surroundings on the outskirts of Oslo – a modern tourist centre with full facilities, open all year around. 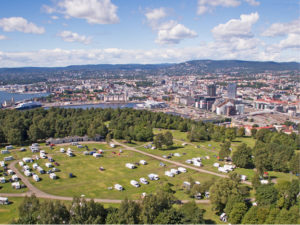 Campgrounds with a view of Oslo – worth a visit on its own. Caravan, motorhome and tent sites, open 1 June to 1 September. 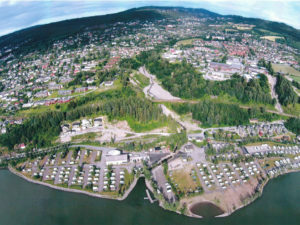 Good, reasonably-priced accommodations, and a great starting point for visiting Lillehammer and the Olympic Games area. 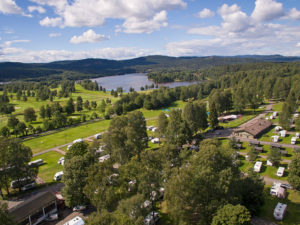 Campgrounds in beautiful natural surroundings, by the Gudbrandsdalslågen river, 800 metres from Hunderfossen Family Park, 4 km from Hafjell and 13 km from Lillehammer city centre. 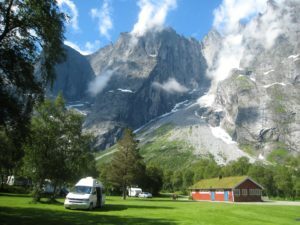 Trollveggen Camping offers an extraordinary nature experience. You’ll find us in the wild and beautiful Romsdal valley, 10 km south of Åndalsnes, in one of Norway’s wildest and most impressive areas. 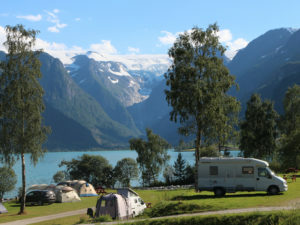 Gryta Camping is beautifully situated by Lake Oldevatnet in Oldedalen valley. From your tent, you’ll have a view of glaciers, 1000-metre high mountains, and lush west country nature. 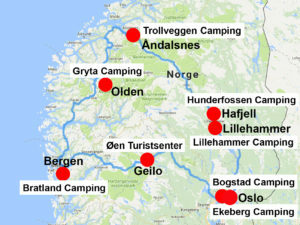 Bratland Camping is located 16 km south-east of Bergen city centre, along Riksvei 580 (national highway). 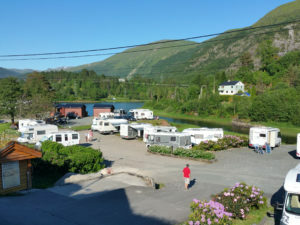 The campgrounds are situated in an area of natural beauty near a lake. 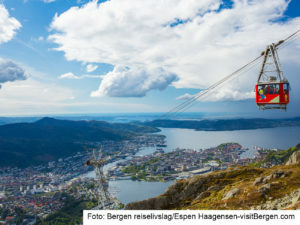 There is reliable public transport to and from Bergen city centre. 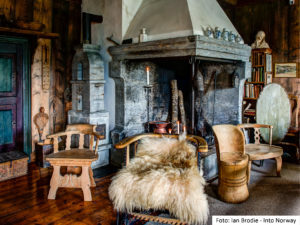 Øen and Geilo are brilliant starting points for hikes in areas of magnificent natural beauty, or for day trips that combine both mountain and fjord experiences. 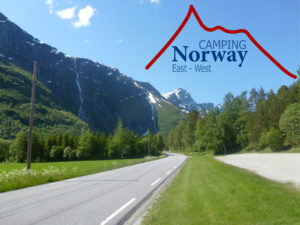 Camping Norway East – West make up a roundtrip tour in Norway with 8 camping sites. 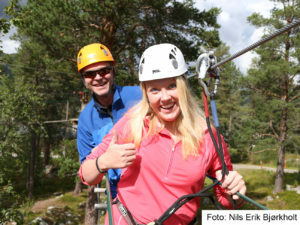 The recognised roundtrip offers some of the best nature experiences and activities in southern Norway.